In this book the crucible ,it was about some young girls who were dancing in the woods and got caught for their sins. This book basically lead me to my topic which is DACA , if you have no clue what that is .Its a program that was brought in 2012 by president Obama as a stopgap that would shield from deportation people who were brought into the United States as a child. It last 2 years at a Time. This program does not provide a pathway to citizenship . But the main reason this book lead me to my topic is because in the book people are targeted just like people today in society are being targeted. I feel I can connect with my topic because I have family who were part of this program . I have two cousins who are/were part of it . They were on there way to a great path right when you decided this program wasn't needed.They felt scared. Trump, you are my audience and I want you to change the program back to daca. You are hurting so many kids/teens and their families. My main question is why are you doing this ? whats your whole point? to hurt these people ? and ruin their future. Even in a document that I read you said "I have a love for these people " Please tell me how is this love ?! Its not love!! 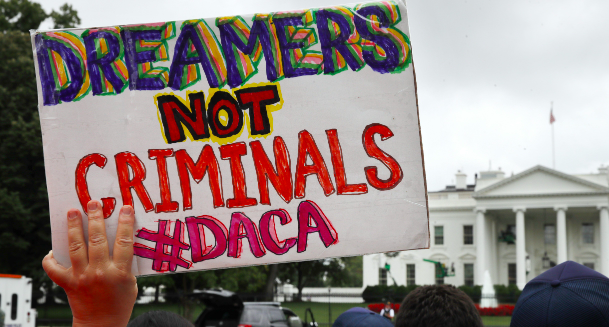 You are hurting these kids/teens and their families This program (DACA) is actually helping these undocumented kids to a better future. In this book , people were targeted just like these kids/teens and their families are being targeted. It is not fair, trump .